The security industry goes through significant changes each year. Just like other forms of technology, what works today can quickly become obsolete tomorrow. The same goes for access control systems. Access control systems combine authorization identification, authentication and access approval via login credentials for businesses. Older systems used personal identification numbers for access, but today there are more advanced systems implementing the use of biometric scans and physical electronic key cards. From big and somewhat bulky biometric readers introduced in the 1990s, biometric access control systems have transitioned into streamlined devices available in different styles and designs – adding to the aesthetics of the office space. 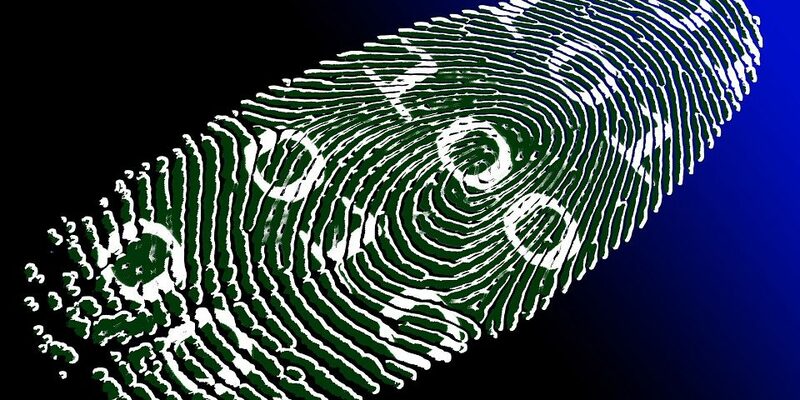 Biometric systems provide more accurate identification, lowering your risk of unwanted breaches. With this type of security system, access is granted not by passwords or smart cards but by biological characteristics like iris scans or fingerprints which are difficult to duplicate or forge. This more accurate information helps with security as well as accountability. Logging activity through a biometric security system helps connect personnel with specific actions or events that can be referred to in the unfortunate case of a security breach. Incorporating biometrics into your commercial security will save you time and money. Biometric security systems are designed with ease of use in mind and give you accurate results with minimal effort. With the right security system provider, installation of a biometric security system is easy and manageable with simple, straightforward training. Biometric identification functions very quickly, typically identifying an employee or visitor in a matter of seconds. This helps keep productivity steady while also keeping your business secure. Biometric security systems are very convenient for both those using it and those managing it. For employees and other personnel, it’s considerably easier to use biometric identification rather than remembering passwords or keeping a badge or identification card on their person at all times. It’s also much more convenient for those managing the system, as they don’t have to worry about resetting passwords or changing ID cards or badges. Biometric security systems are also quite versatile, with a range of biometric scanners available to be used for various applications. They can be utilized in a range of security checkpoints such as entrances and exits, doorways to high security areas, and more. As your business develops and grows, it’s important to have systems in place that can scale with the growth of your business. Biometric security systems are flexible and easily scalable. Whether you want to secure more areas of your facility or just add more data for additional employees, biometric security systems will grow alongside your business for ease and security. The return on investment (ROI) on a biometric security system is very high. For one, it’s much more effective at avoiding fraud than most security systems, protecting your business from potentially catastrophic breaches – according to IBM’s 2017 Ponemon Cost of Data Breach Study, the global average cost of a data breach is almost $4 million. It also saves resources and money, as it reduces management time and helps keep policies consistent. Biometric security systems are a long term commercial security solution for any business. Efficient, effective, and versatile, biometric security systems will keep your business secure while saving you time, money, and resources. However, your commercial security system is only as effective as the security system provider you partner with. Biometric access control offers unparalleled reliability and accuracy, helping to safeguard business assets and manage staff more efficiently. Aside from giving buddy punching the boot, biometric access control also helps to eliminate tedious paperwork and admin required to effectively manage the workforce. Less physical documents and time needed to fill them out keeps employees happy, while at the same time, uncluttering the office space. Biometric access control provides a high level of security, eliminating the need to employ and pay for additional security staff. Further, controlling the movement of staff in the office by restricting certain areas with biometric control, improves the flow of people and the functionality of spaces. Setting up biometric user profiles on office hardware like printers and other automation devices eliminates queuing and ensures that resources are utilised efficiently. Each employee swipes their finger to print their documents separately – avoiding page mix-ups and wastage. Enjoy the advantages of biometrics today; click here to get in touch with us for advice, quotes and guidance.